Akizuki Yasuo was born in 1902 at Wakayama Prefecture, near Osaka, and died in 1984 at Kanagawa Prefecture, near Tokyo. He graduated from Kyoto High School (1923), and (Imperial) University of Kyoto (1926). He was a professor at Kyoto High School (today, a part of the University of Kyoto) in 1929-1946, University of Kyoto in 1947-1951, Tokyo University of Science and Literature (Tokyo Bunri University, renamed Tokyo University of Education, Precursor of the University of Tsukuba) in 1951 - 1966. 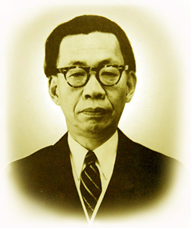 He was the president of Gunma University (1967-1971). He was decorated with the highest award for a scholar in Japan (1973). He was the representative from Japan in ICMI under IMU from the beginning of the reconstructed ICMI in 1954 and a board member of ICMI from 1959-1966. As a researcher, he was known for the Krull-Akizuki Theorem in mathematics and known as the person who developed Kyoto School of Algebraic Geometry, and with Kunihiko Kodaira developed Tokyo School of Algebraic Geometry. 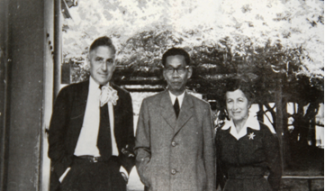 He was a key person in developing the ground for the current prosperity of Kyoto School in Mathematics, in supporting the enlargement of the mathematics department of the Tokyo University of Education after World War II, and managing and supporting the international symposium in various areas on mathematics. During the first half of his career, he was a mathematician and a professor. He educated the next generation of society which worked for Japanese development at Kyoto High School. As a professor, he educated world-famous mathematicians such as Heisuke Hironaka (Fields prize in 1970). In 1957, he was invited as a visiting professor by the University of Chicago. During the second half of his career, he worked for the society of mathematics and science education. He was a great teacher for his whole life. At the same time, he contributed to bridge mathematics and mathematics education during his years at the Tokyo University of Education. In Japan, he was well known for contribution in three aspects of Japanese education, with the support of his colleagues. Firstly, he supported the stepping up of Japanese Mathematics Education Society as a part of Academy with his colleagues. At the Tokyo University of Education, he worked with researchers in mathematics education as well as mathematicians. 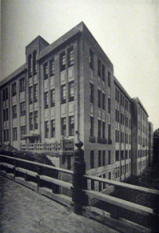 Even though the Japan Society of Mathematical Education (JSME) was founded in 1919 at Tokyo Higher Normal School (Precursor of the Tokyo University of Education), the members of the mathematics education committee under the mathematics board in the Science Council of Japan were limited to mathematicians and he supported to reform the committee to include a math educator. He held or supported the International Seminar for education such as the research seminar of SMSG (1964), the Japan-US seminar of mathematics education (1971), and the ICMI-JSME International Conference of Mathematics Education (1974). Secondly, he worked for the modernization of school mathematics from the view point of developing mathematical spirit as a part of humanity. He chaired the committee of the mathematics curriculum standard (1971). "Defining what "Mathematical Thinking" is, is a necessary question when we learn and study mathematics, and educate via mathematics. Both mathematicians and math educators are human and we do not need to solve any question mathematically. "Mathematical Thinking" is a human activity. What is known as Mathematical Thinking should be represented by mathematical activity, not only expressed by mathematics but also the activity to create mathematics and the thinking for creation, and it is experienced as intuitive feeling with application, not experienced by dividing each concept and way of reasoning. There are reasoning such as analogy, induction and deduction which are known to be powerful but if we focus on each mathematical concept and way of reasoning, we may lose many [things of] importance. Mathematical thinking is experienced in the mathematical activity in any level of students." (Mathematical Thinking and its Teaching. Journal of Educational Research, Elementary School of Tokyo University of Education: Elementary Education Research Institute, 21(5), 8-9, 1966). At the Celebration of his student, Heisuke Hironaka was decorated in 1975. "Value is recognized through reflection. We can recognize what we are doing through reflections just as mirrors reflect each other recursively. Understanding the depth of value is a human ability. Science education should not only be a training in technical skill. Recognizing Science and Technology as a part of human activity and creation, we should teach students to reflect on what is deeper. This is the principle of education for any level of students." (Lecture of 'Science and Humanity', 1966, from the Memorial Book of Prof. Yasuo Akizuki, 1985). Thirdly, he collaborated with natural scientists to develop the Science Education based on his view of education, and contributed to the development of 'Science Education Area' in the Science Council of Japan, as in the inter-subjective bridge Science and Education, which already existed independently. 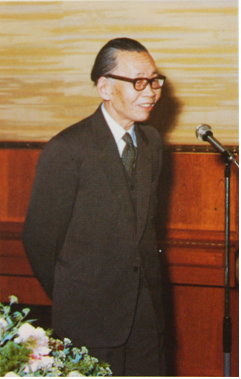 He developed the 'Akizuki' committee (1968-1976) funded by a grant from the ministry of education, and gathered math educators and mathematicians to engage in the research of modernization, high school textbooks, and the integration of subjects. Many mathematics educators matured in his committee. Based on these fundamental activities of scientists and educators who worked for science education reform, Japan Society of Science Education (JSSE) was founded.